Yes, it turns out you've been pronouncing it wrong this whole time. As in all the times you've talked about Qatar. Maybe not so many? 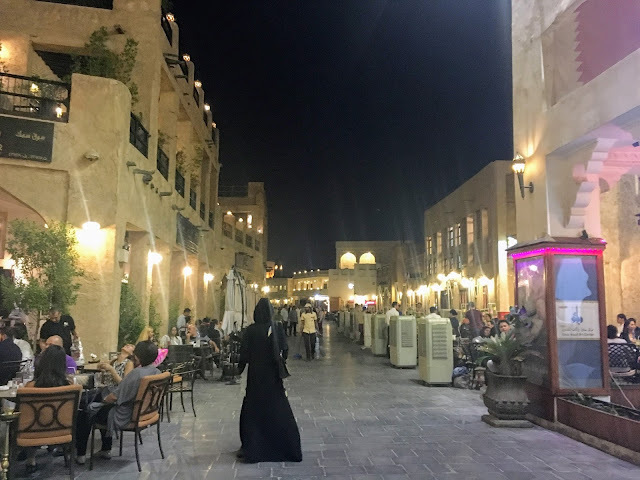 Well, the amount you talk about this small middle eastern country will be rapidly increasing in the coming years because the 2022 World Cup is being held here (so learn how to pronounce it). 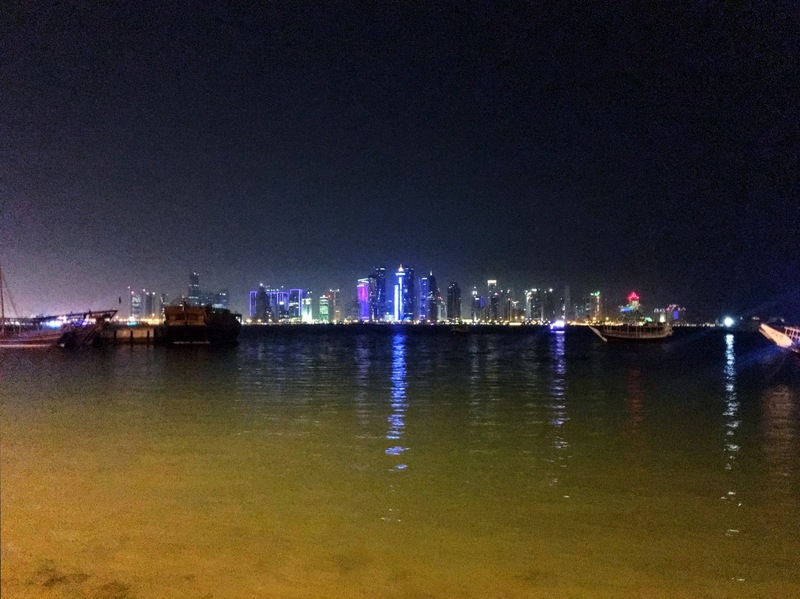 What was I doing in Qatar (did you say it right in your mind this time)? No, it was not a Remote Year location. It just happened to be where we had an 8 hour layover on our way from Croatia to Kuala Lumpur. 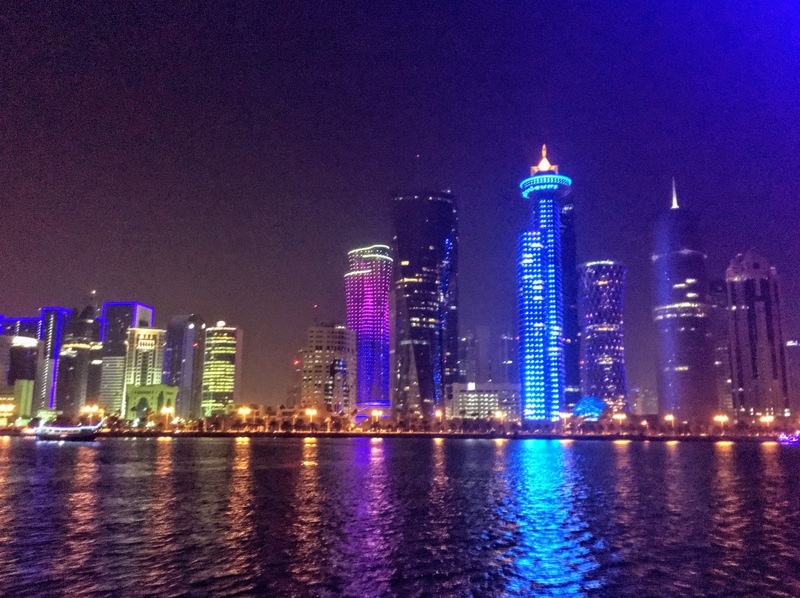 With such a long layover, we were able to take some time and go out on the town to see the wonders of Doha, Qatar. 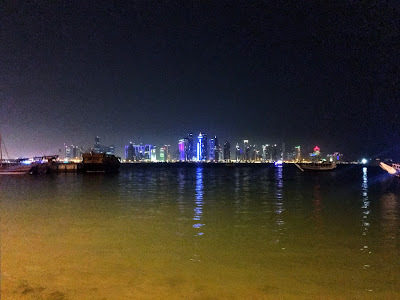 Prior to visiting, I pretty much knew nothing about Qatar (no, it rhymes with butter) other than the fact that its oil rich and its hot. Well, it turns out its not oil rich...its actually oil RICH! As in the richest country in the world oil RICH with a per capita GDP of $129,726. To put that in perspective, the US per capita GDP is $57, 293. Dammmmmmnnnnnn. That is oil RICH!!! And it's very apparent that they have no idea what to do with all their money. The city is basically just a shell with luxury high-rise hotels lining the river, but no buildings below filling in down below. Those are all the building in Doha. There is no city. Its all an illusion. 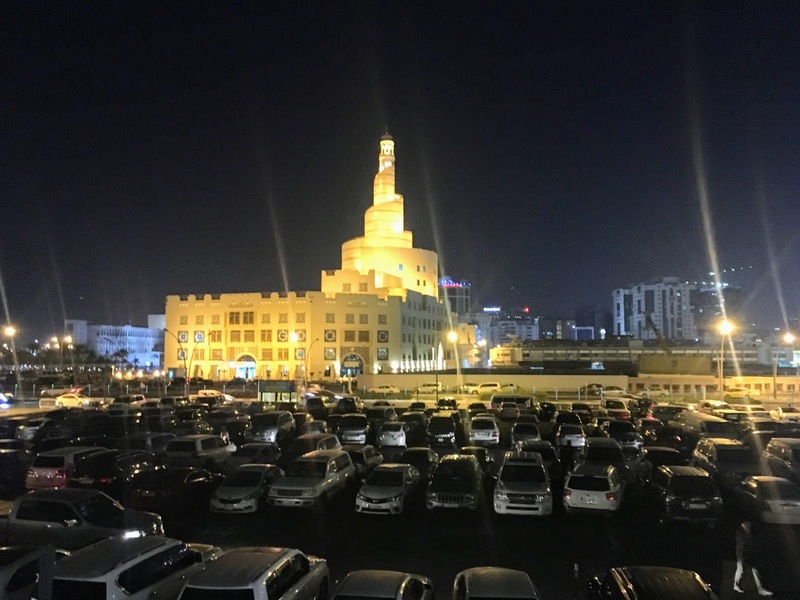 The "markets" in Doha were built in the last few years, but were created to look as if they have been around for hundreds of years. Its fake. All fake! As in straight out of a movie set fake (trust me I hang out on a lot of movie sets). The new market. Same as the old market. Well, actually, there was no old market. Also during our eight hour visit, we were able to fit in a boat ride across the river. FUN! That's it. That's my whole blog post about fake Qatar. 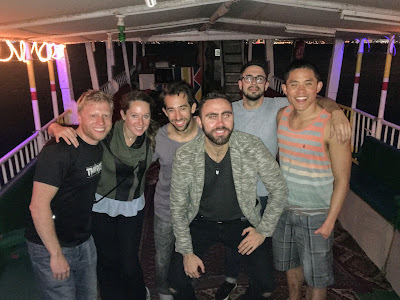 I just needed to get this out because its been three months since my last post and I'm writing about events that happened six months ago. Next time, bring your chopsticks cause we're moving into my Asian adventures. How many airline miles did you accumulate?